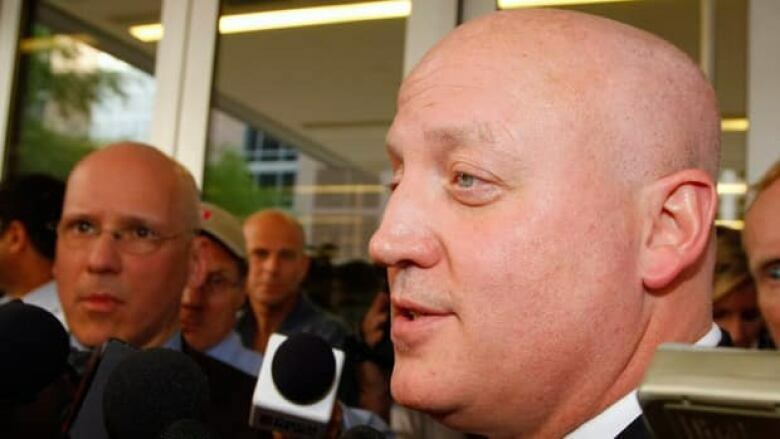 After deputy commissioner Bill Daly held a marathon session with NHLPA special counsel Steve Fehr that stretched into the early hours of Sunday morning, he indicated that the sides plan to return to the bargaining table again soon. The conversation is flowing again between the NHL and NHL Players' Association. A marathon meeting between deputy commissioner Bill Daly and NHLPA special counsel Steve Fehr stretched from Saturday afternoon into the early hours of Sunday morning, and was followed by some encouraging news: The sides expect to return to the bargaining table on Tuesday in New York. "We met on and off for most of the day and covered a lot of ground," Daly told The Canadian Press via e-mail. "We plan to meet again early in the week." Daly and Fehr got together at an undisclosed location in an effort to shield themselves from the media spotlight and start finding a way forward in negotiations. The session included "good, frank discussion on the most important issues separating us," according to Daly. It represented a significant departure in protocol from the last few months, when the parties rarely sat down together for more than an hour or two at a time. The meeting was also unique because it included just the No. 2 men from the league and union, perhaps offering a harbinger of better times ahead (Daly and former NHLPA deputy Ted Saskin laid the groundwork for the deal that ended the 2004-05 lockout). There was certainly a positive feeling in the air afterwards, with Fehr saying in a statement that he agreed with how Daly summed up the session. "Hopefully we can continue the dialogue, expand the group, and make steady progress," added Fehr. There had been no signs of progress since the sides last met in mid-October. In fact, the news had all been negative, with a deadline to salvage an 82-game season passing, the NHL calling off all games through Nov. 30 and an announcement Friday that the Jan. 1 Winter Classic at Michigan Stadium was being postponed, likely until next season. Daly and Fehr decided to meet in a neutral location — away from the league's New York headquarters and NHLPA's Toronto office, where all previous bargaining talks were held — after a series of informal phone conversations over the last week. Those offered a hint of where negotiations might be headed. Last Tuesday, the NHL made it known that it is willing to see owners assume more of the burden with the "make-whole" aspect of its latest proposal. That provision was put in an Oct. 16 offer to ensure all current contracts would be honoured — an important issue for the players — through deferred payments in the coming years. However, the NHLPA didn't like that those payments would count against the overall players' share in future revenues. The sides have moved closer together with their most recent offers. The NHL proposed a 50-50 split of revenue, down from the current 57-43 division in favour of the players, across the board. The union is willing to see it get to 50-50 over time, but wants it phased in so that current deals are paid out in full. The NHL also proposed a number changes to contract rules, but the NHLPA has so far shown no interest in adopting any of them. The 50-day lockout has already seen 326 regular-season games cancelled, pushing the total number lost by the NHL to work stoppages over the last two decades over 2,000.